On 1552, the people who follows St. Xavier's stayed. On 1606 Madhurai Mission's a Society of Jesus stayed. On 1679 St. Arulanandhar preaches the people by staying here. On 1800 some of the priest maintained the place. 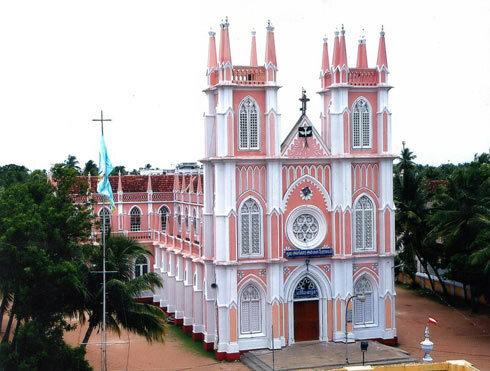 On 1843, it becomes first diocese of kumbakonam and first parish priest was appointed. On 1899 it was seperated from Pondicherry diocese. On 1924 start built foundation and stopped construction due to some situation. On 1936, it was opened and blessed. Rev. Fr. 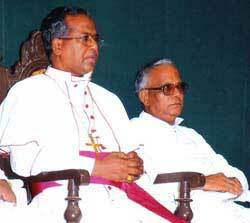 M.BOTTERO was a first Bishop of kumbakonam diocese. Now Bishop Rev. Fr. Anthonysamy DD., S.T.L maintaining and Fr. T. Joseph V.F. a 31'st Parish Priest. On every July 28 Flag hosting and August 6th a charriot festival celebrated. St.Antony's church, located in kumbakonam near Nall Road, which is branch of the kumbakonam Diocese, and another one Fathimapuram St.Antony's church. Tanjore Dt, T.N, South India.